Do you want to know what our patients are saying about Dr. Jon C. Bauman? We invite you to read reviews from our patients to learn why people love our friendly and professional dentist and dental team. For more information about our dental office in Brighton, Colorado, or to leave a review of your own, we welcome you to call us at Riverdale Dental Center. We are happy to care for your smile! “I used to dread going to the dentist. Now it’s such a joy to come here. You are all such nice people!” – Lee H.
“A few years ago when I was searching in my area for a dentist to safely remove my mercury fillings, I met Dr. Bauman. I was impressed with his knowledge and appreciated his genuine interest in my particular concerns. Over a period of months, as he replaced my numerous old fillings and I benefited from his skillful work, I knew that I had made a very good decision in choosing Dr. Bauman as my dentist. His expertise is complemented by that of his dental assistants. I also appreciate the warm and friendly atmosphere created by his great office staff. I am very satisfied with Dr. Bauman’s work and enthusiastically recommend Riverdale Dental Centre.” – Nancy R.
“I am a new patient of Dr. Jon C. Bauman of the Riverdale Dental Centre. I have had several dental sessions and am happy to say Dr. Bauman put me at ease from start to finish. He has a great staff and a well seen office.” – June P.
“I have seen Dr. Bauman for my dental work since I was a little girl. He is particularly gentle and thorough in all his work. The office staff is always very kind and friendly. My husband and my boys now see Dr. Bauman. 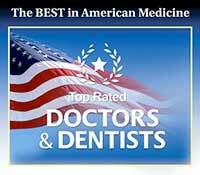 I would highly recommend Dr. Bauman to anyone!” – Tresa S.
“Dr. Bauman took the fear of dentistry right out of me. He has a great chairside manner and the staff is very professional.” – Kelly L.
“When James had his appointment, we couldn’t have had a better first visit experience. Because of you I know James will not be afraid of the dentist. It means a lot to me as a mother and I truly appreciate your patience and willingness to work with him so that he had fun. Thanks again.” – Dana F.